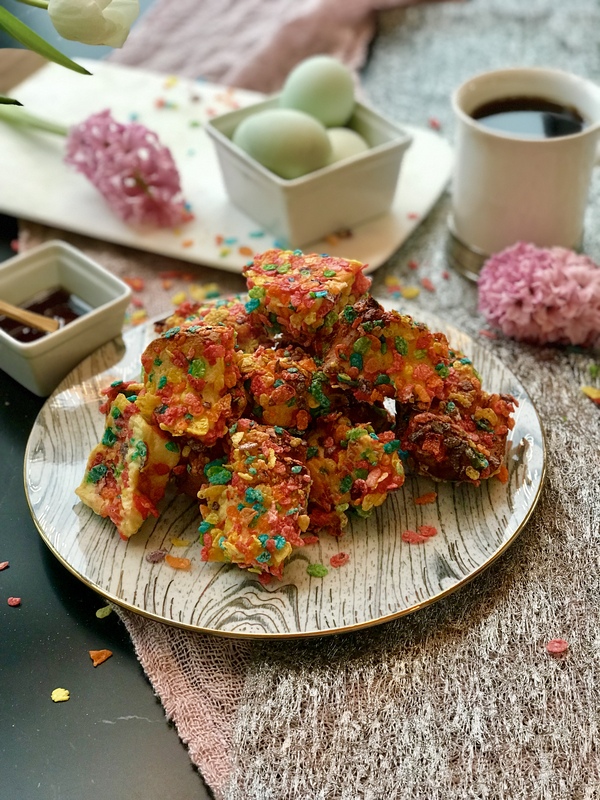 Bright and bursting with crunchy deliciousness, these Fruity Pebble Coated French Toast Bites make any holiday or birthday brunch better. I don’t usually have such sugary cereals in the house but when its time to ring in spring, these colorful, crunchy and sweet breakfast bites are a special treat for big and little tummies. They are also one of the easiest ways to get the kids into the breakfast baking with minimal mess. Preheat oven to 375°F. Cover a baking sheet with parchment paper. In a large bowl, mix together the eggs, milk, vanilla extract, cinnamon, 2 tsp. of maple syrup, and a pinch of salt. In a smaller bowl, pour 1 cup of fruity pebbles and slightly crush up with your fingers. Cut the bread into large chunks. Dunk into the egg mixture and then coat with the fruity pebbles. 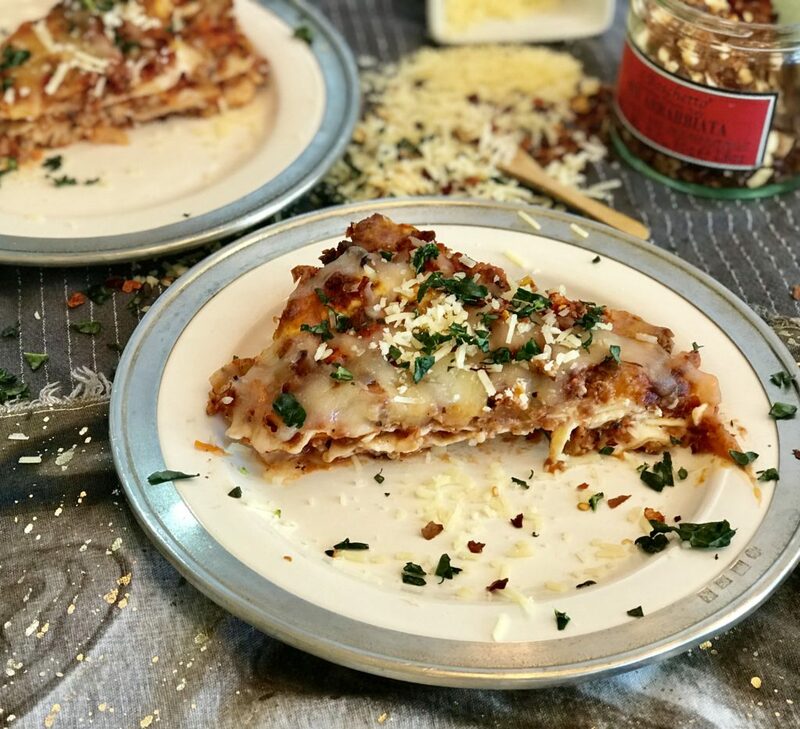 Place onto the baking sheet and place in the oven for 15 minutes or until the bread is crunchy but hasn’t browned too much. Serve with more maple syrup.